Chris 49 a small business owner from Queens had high blood pressure, bad chest pains and erectile dysfunction. He was hell-bent on turning his health around. Chris wanted to be around a long time for his kids. Chris family doctors were not helping him get any better they would just take his blood pressure, prescribe more drugs and say see you in a couple of months. Chris girlfriend convinced him to try a holistic doctor. Chris is a blue-collar kind of guy and was a bit skeptical about any medicine outside the "norm" but he was desperate to feel better and be around for his kids. Chris and his girlfriend did some research and decided to go with Patients Medical Wellness Center in New York City. It’s run by Dr. Gulati she is a Board Certified Holistic Internal Medicine Practitioner with two MD's - one each in Internal Medicine and Pathology. Dr. Gulati has over 20 years of medical experience and has hospital privileges at Mt. Sinai Hospital. Chris came in for his appointment and was very pleased that Patients Medical had a very friendly staff who made him feel right at home. The Doctor sat Chris down and gave him an in-depth consultation to cover all of his Concerns. He was given a full exam incorporating both western and eastern (Chinese) medicine. He took extensive food allergy and blood tests. Chris results came back he had a chronic case of angina, hypertension and had high levels of heavy metals in his body. Chris was quickly put on EDTA Chelation vitamins IV drips, a low-fat diet and a number of pharmaceutical grade supplements. After a few months of treatments, Chris was really blown away by the transformation he saw in himself! He lost 10 lbs, chest pains were gone, pressure was down, sleeping was back to normal and his girlfriend was very happy if you know what I mean. Chris life made a u-turn because he did what the doctor ask him to do. Here at Patients Medical, our physicians combine the best of conventional and holistic medicine with state of the art equipment to provide comprehensive care and treatment to our patients. We focus on the root causes of secondary medical conditions, integrating modern medicine, holistic practices, and natural supplements to spark healing and prevent disease. We only used pharmaceutical grade supplements that can only be prescribed by a doctor we never use cheap supplements with fillers. Let's see what Chris had to say about this. "Are the supplements a little on the pricey side...yes. But what the hell...what's the alternative...get cancer and save a few bucks? I don't see the logic. Some supplements are way cheap while some are more on the expensive side. It all depends on what you might need. A few people on here think that this place is a scam. I am a skeptical person and let me be the first This is *not* a scam. I am already 10lbs lighter from avoiding some foods suggested by my doctor and my overall health has gone from dismal to great. I highly recommend patients medical....for the first time in my life I can see the light at the end of the tunnel." Chelation Therapy is a safe, effective and rather economical therapy to bring back blood circulation in sufferers of atherosclerosis without having surgical treatment and to eliminate toxins and heavy metals out of your body. Chelation Therapy involves the intravenous mixture of a pharmaceutical medicine called Ethylene Diamine Tetra-Acetic Acid (EDTA), plus minerals and vitamins at corrective measures. EDTA chelation infusions are actually administered by slow-moving drip, circulating through the blood stream treating the entire arterial system getting rid of unwanted metals from the body. A number of metals including lead, mercury cadmium and iron are actually poisonous substances. Lead and cadmium levels associate with hypertension. Excess of iron can trigger heart attacks. All metals, even essential healthy elements, are actually poisonous in excessive or whenever unusually situated. EDTA normalizes the dispersal of a lot of metallic elements in the human body. EDTA strengthens calcium and blood cholesterol metabolism by eliminating metallic catalysts which cause damage to cell membrane layers by creating 'OXYGEN FREE RADICALS'. Free radical pathology is now believed by numerous researchers to be an essential contributing cause of atherosclerosis, cancer, diabetes and other health problems of aging. EDTA helps stop the production of damaging 'Free Radicals' with elimination. Arterial disease is in charge of strokes, cardiovascular disease, inadequate blood circulation as well as amnesia. Blockage of blood vessels by plaque (atheroma) reduces the flow of blood, depriving essential body organs of oxygen as well as other nutrients. Disordered calcium metabolic process can additionally create coronaries and various other arteries to go into convulsion, further lowering blood to vital organs. If diagnostic analysis reveals the development of calcified deposits, if they remain in unequal clumps, the risk of cardiac arrest or stroke is considerable. If they are laid efficiently along the arterial walls, the risk is much less. Chelation therapies decrease the threat substantially. When the circulation of blood is disturbed by a calcified deposit it comes to be turbulent and stress out. If part of the deposit breaks away, it is moving at speed in this rapid moving blood and could obstruct one of the smaller blood vessels provided to the artery entirely or partially. This triggers a stroke if the artery is feeding the brain, or a cardiovascular disease if a coronary artery of the heart muscle tissue is included, or gangrene and also amputation if the leg arteries come to be blocked. It is typically recognized that decline of memory is an unavoidable portion of the growing old routine in addition to light-headedness, lack of focus and damaged hearing. All of these kinds of health conditions are actually brought on by the accumulation of calcium build up on the artery wall structures, frequently referred to as 'hardening of the arteries'. This leads to the degeneration of damages tissues which in turn are really unable to soak up adequate nutrition and oxygen. If the calcium build-ups are put down effortlessly and uniformly, the aging procedure is steady. The clumping of deposits creates abrupt aging. When veins or blood vessels to the heart muscle or to the legs are impacted, the cramping discomforts of heart disease and periodic claudicating are actually experienced. Both are really the end result of the muscles being denied of air and may progressively worsen. Muscle spasm could shut off a constricted vein totally. Chelation therapy encourages health and wellness simply by repairing the primary underlying reason for arterial congestion. Destructive oxygen free radicals are actually enhanced by the exposure of metallic components and act as a persistent toxic irritant to capillary walls and cell membrane layers. EDTA gets rid of these metallic toxic irritants, permitting leaking and stressed cell walls to recover. Plaques level over and decrease, enabling additional blood to successfully pass. Arterial walls end up being softer and much more flexible, permitting much easier expansion. Clinical researches have actually verified that blood circulation expands right after chelation treatments. A comprehensive course of chelation therapy includes a broad-based care plan of routine physical exercise, appropriate nourishment, minerals and vitamin dietary supplements and elimination of using tobacco and other harmful behaviors. Chelation treatment could be made use of along with many other therapies for heart disease. EDTA works with blood thinners, capillary dilators, medications for high blood pressure and heart arrhythmias, calcium mineral blockers and beta blockers. The requirement for medications is typically decreased soon after a session of chelation therapy. What Can Be Done To Prevent Heart Attacks, Angina, Strokes, Claudication (Poor Leg Circulation) And The Aging Process? Distinctly, in case a number of these kinds of issues are brought on by calcified buildups in the arteries, getting rid of the sickening component will significantly decrease the danger of abrupt sickness and postpone and extend the aging actions. This is definitely just what chelation handles; chelation therapy is specifically effective in a person suffering from diabetes health conditions. 1 in 4 Men over Forty - 1 in 5 Women over Fifty years old and also an individual with blood circulation troubles, or has actually endured a stroke or cardiovascular disease, or individuals with a family background of heart diseases, as well as those that are realising that they have the ability to do much less as they get older. 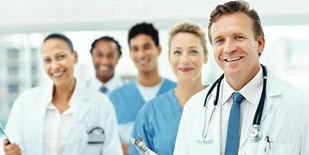 The very first step is to have a clinical analysis examination to expose existing or possible troubles or risk elements. Standard therapy for hypertension, or bad blood supply to the mind, heart or legs, is medication and also local surgical treatment if the arteries are reachable and the individual's problem allows. However, this is hardly ever effective long-lasting. For greater than twenty-five years in the USA chelation therapy has actually verified exceptionally effective in controlling these troubles, it has actually been readily available in our practice since 1974. We are among the very first facilities in the USA to do chelation and also have actually aided thousands of individuals. Take note of your danger elements Can Chelation Therapy Be Used As A Preventative? Yes. Chelation could be and also is made use of thoroughly as a preventative therapy, dealing with 'totally free radical' damages and also thus lessening the danger of cardio troubles in the future, specifically for those with risky variables, such as previous background of cigarette smoking, medication or beverage misuse, cholesterol as well as various other genetic indications. Chelation treatment is amongst the best of clinical treatments. Greater than 400,000 clients have actually gotten over 4 million therapies throughout the previous 30 years. Not one fatality has actually been directly caused by chelation therapy when effectively carried out by a medical professional that was totally educated and also proficient in making use of this treatment. If you have upper body discomfort or leg discomfort when walking, lack of breath, uncomfortable, discolored feet, short-term loss of vision, paralysis, or swiftly failing memory, see a doctor! Any type of inexplicable or relentless signs and symptoms which affect your heart, head, arm or legs need to be analyzed for feasible blood circulation obstruction. Clients regularly report a decrease or elimination of their signs with a raising feeling of well-being after chelation therapy. Friends and family are usually the very first to observe your improvement in appearance health and wellness. The contrast of pre- as well as post-treatment analysis examinations, could offer unbiased proof of efficiency. Each individual is unique and also it is just after a clinical examination that a person could be recommended for the length of therapy. Nonetheless, traditionally 10-30 infusions attain substantial improvement. The degree of improvement relies on the specific client, the extent of the problems and also the stamina of each mixture, which is customized per individual. Yes! Although chelation treatment is used to stay clear of coronary bypass, numerous clients that have actually taken several bypass treatments, have actually consequently benefitted significantly from chelation therapy. Therapy for every person should be individualized. If all else stops working, including chelation treatment, bypass continues to be offered as a last option. Our physicians keep track of clients on a regular basis, performing additional exams and keeping track of progression from the original diagnostic exams. Since medications for high blood pressure require to be decreased as chelation generates the preferred results, our physicians prefer to create a connection with the doctor who has written the prescription for the drugs and go over progression. The visitor is recommended that differing as well as contradictory perspectives are actually kept by additional sections of the medical occupation. The relevant information introduced within this literature is instructional in makeup and is not actually meant as a manner for medical diagnosis or treatment option. This related information exemplifies the existing point of view of individual medical professional experts to ACAM (American College for the Advancement in Medicine) at the period of publication. The procedure will certainly be carried out as discussed before. Throughout the duration of each treatment, the patient is thoroughly tracked, in accordance with the worldwide approved ACAM and United States Government National Institute of Health TACT trial standards. Chelation therapy has been rejected by traditional medicine because of the lack of clear evidence but recently the National Center for Complementary and Alternative Medicine and the National Heart, Lung, and Blood Institute definitive conducted a trial study of EDTA chelation treatment in subjects with coronary artery disease (CAD), the trial was named TACT (Trial to Assess Chelation Therapy). The TACT participants were around 50 or older and had acute myocardial infarction at least 5 to 6 weeks before enrollment. They had a creatinine level of 2.0 mg or less. They use a 2 by 2-factorial study to test intravenous chelation versus intravenous placebo and oral multivitamin and multimineral versus placebo vitamins/minerals. A sum of 1708 participants was used in this TACT trial with a follow-up of 55 months. The patients were given 40 infusions with up to 3 grams of intravenous Edetate disodium. The traditional medicine community was hoping this trial would fall flat on its face where they could put nails into the coffin for chelation therapy. Surprise the trial was a huge success and they were shocked. 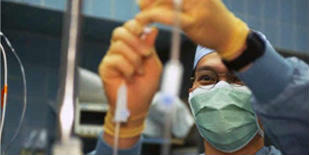 Chelation therapy had reduced the risk of cardiovascular attacks by 18% and a 5-year treatment regiment. Also, the chelation treatment removed toxic metal from the patient’s body. With oral multivitamin and multimineral added to the chelation treatment, showed even more positive results with a 5-year treatment. A portion of the patients had diabetes and with the treatment with EDTA infusions Lower their death rate, cardiovascular disease, and stroke events. One big benefit this TACT trial showed was that the patients benefited long-term with EDTA chelation treatments. With traditional medicine you would need secondary prolonged prevention treatments but with the EDTA chelation patients that were not the case, even after the infusions stopped the patients continued to improve. One reason for this is that EDTA infusions reduce the number of toxins in their bodies that had built up over the years such as lead or cadmium. Today a lot of people carry a good amount of lead in their bodies, having too much lead and other toxins in our body can cause cardiovascular disease, hypertension, and stoke. After seeing the results of this TACT trial the American Heart Association and the American College of Cardiology upgraded EDTA chelation from a 3C to a 2B indication in their 2014 revision of the guidelines for the treatment of chronic heart disease. The National Institutes of Health are planning a TACT 2 this will be a repeat trial Study of EDTA chelation and post MI diabetic patients. To read the whole TACT trial you can visit here.